We live in a busy world that is constantly tugging us in a hundred different directions. Between school and soccer practice, work and doctor appointments, it’s no secret that healthy eating sometimes gets placed on the back-burner. However, the argument can be made that we should adjust our priorities to promote healthy eating in our children. As parents, we are helping children form a foundation on which they will live the rest of their lives. Learning to eat healthy as a child will benefit them for many years to come. 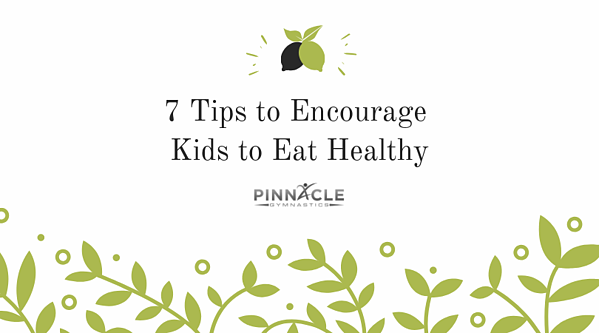 Here are seven helpful tips on how to encourage healthy eating in your house. Lead by example. Perhaps the most important thing for you to do as a parents, teacher or coach is to be the example. Make sure your kids see you making healthy choices throughout the day. Children are very aware of our behavior and as a role model to them, they often mirror our behavior. In order for them to genuinely strive to eat healthy, they need to see us doing our best to accomplish healthy eating habits. 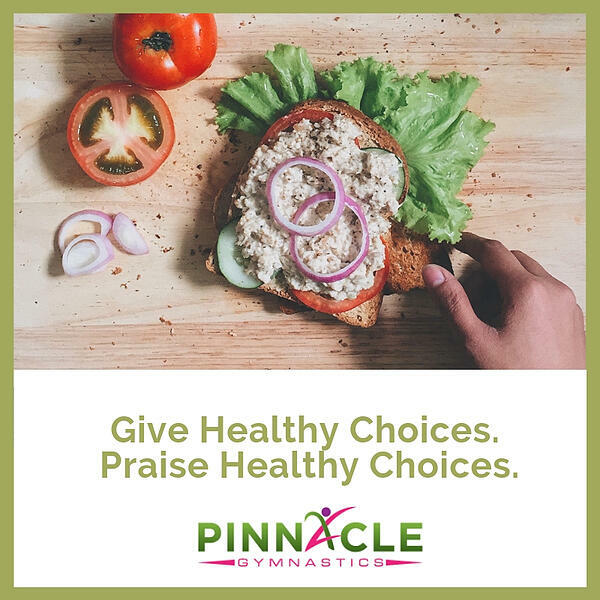 Give healthy choices, praise healthy choices. Children thrive when they feel empowered. Instead of telling a two-year-old they must eat an apple, give them an option. “Would you like an apple or some grapes?” Empowerment is a powerful virtue. When a child feels like they have control over what they are eating, they are more likely to make better choices as they become more independent. Empowered food choices will also teach them it’s okay to change their mind. When they ask for candy or chocolate, you can offer them an alternative option of strawberries dipped in some chocolate. If they choose the healthier option: PRAISE the choice. Children are fueled by positive reinforcement. However, if the child still chooses to eat candy, don’t scold them. Teaching your child to be empowered comes with the consequence that sometimes they won’t choose the best option. Teach your child that it is okay to splurge every once in a while, as long as it doesn’t become a habit. 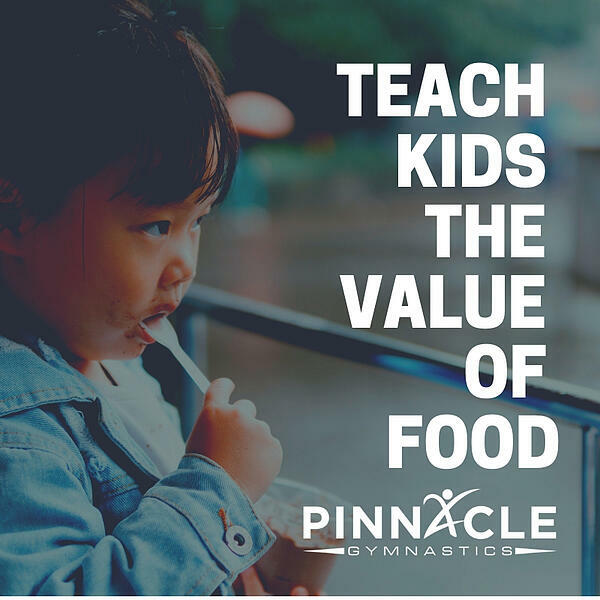 Teach your child the value of food. Food’s primary purpose is to fuel our bodies and give us energy. As children get older, you can teach them the cool things food helps our body to: calcium in dairy products helps us grow strong and fruits and vegetables keep our hair and skin feeling and looking healthy. Food shouldn’t be a way to negate boredom and it is best to avoid using food as a way of bribing or rewarding children. If children are raised with the mentality that food gives our body what it needs to perform at its best, they are less likely to overeat or eat out of boredom. Teaching your child the value of food is a life-long skill that will continuously benefit them. Keep healthy food readily available. Fresh apples, bananas, oranges, carrots, celery – all are great healthy options to have consistently available for your child to snack on. Frozen vegetables are easy to add to any dinner and frozen fruit makes yummy smoothies for after dinner treats. Make sure your child has constant access to healthy beverages as well such as water, milk, and juice. Keeping healthy food accessible to your children allows them to make a healthy choice by themselves. When you limit the number of unhealthy snacks like cookies and chips the have access to, they are more likely to grab a healthy snack. Don’t restrict unhealthy foods. I’m a firm believer in my mother’s candy bowl theory. My mom always had a candy bowl sitting on the counter in the kitchen where I could have as many pieces as I wanted every day. However, since I had constant access to it, I rarely ate candy out of the bowl. However, when my friends would come over and see a bowl of candy sitting on the counter, they would eat several pieces every time the bowl caught their eye. To me, this shows the power of restriction. When restricted, children feel the need to overindulge on unhealthy foods when given the opportunity. 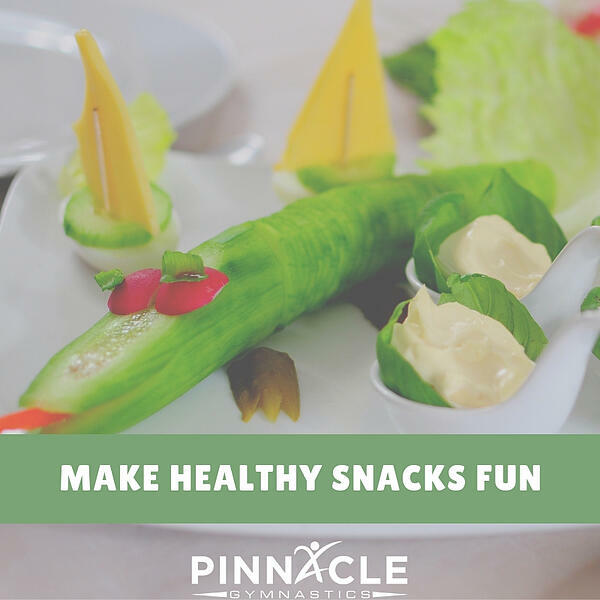 Make healthy snacks fun. A memory that has stuck with me ever since I was in preschool is, believe it or not, a healthy snack. I can remember sitting at a table in my preschool classroom with a stick of celery, 5 raisins, and a scoop of peanut butter. My teacher instructed the class to fill the celery with peanut butter and place the raisins on top… then she said, “Look! It’s ants on a log.” I can remember being so excited to eat it, and when my parents picked me up, I begged them to go to the store to get the ingredients to make it again. To this day- peanut butter and celery is one of my favorite snacks. Teach kids to cook. Cooking can be a great way to get your children excited about eating healthy. Of course, cooking can be dangerous, so it is important to only give a child an age-appropriate task to complete. Young preschoolers love to help start the microwave or mix things with spoons. As children get older, you can introduce other cooking tasks like chopping fruits and vegetables, or even browning meat. Cooking is a fun activity that will benefit your child in so many ways -- from learning cooking basics to understanding the control they have over food’s taste and nutritional value.